As part of our trip to China, my kids and I flew Cathay Pacific 777 premium economy from Beijing to Hong Kong. On the whole, it is a solid product. 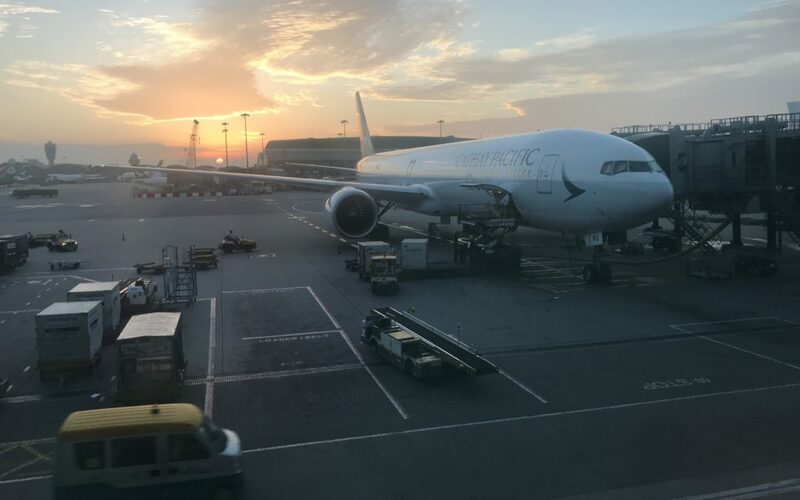 Cathay Pacific has more than one crew member upset at them after purportedly removing their bags from a storage room and sending them to the dump. Was Cathay Pacific’s “incredible sale” ACTUALLY just genius marketing? By now you’ve probably heard of the “incredible fare sale” by Cathay Pacific. Some are suggesting that this is all part of a genius marketing plan by Cathay – what’s your take? Plan some extra time if you have to move between terminals at ORD. Plus an emergency plane landing, a surprise fare being honored and some good passenger shaming! Earlier today Cathay Pacific tweeted out photos of one of its planes that has a bizarre mistake: the carrier’s own name is misspelled.